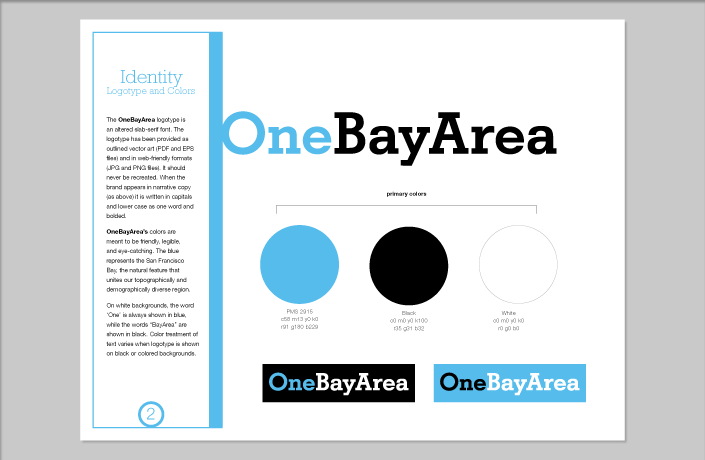 L Studio worked with the Bay Area’s Metropolitan Transportation Commission (MTC) to create a brand that would represent a spectrum of programs and publications related to regional sustainability and State climate legislation. The umbrella brand represents programs and initiatives of four regional agencies: The Metropolitan Transportation Commission (MTC), The Association of Bay Area Governments (ABAG), Bay Area Air Quality Management District (BAAQMD) and the San Francisco Bay Conservation and Development Commission (BCDC). 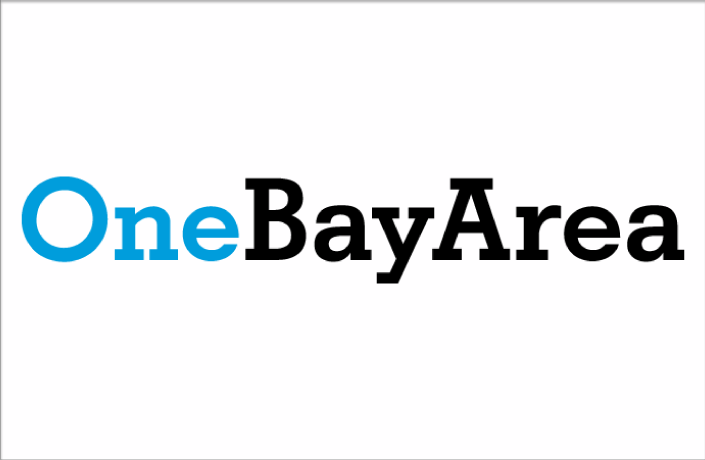 OneBayArea’s goal is to unite efforts at a regional level across agencies and local governments of the nine counties and 101 municipalities that comprise the Bay Area. 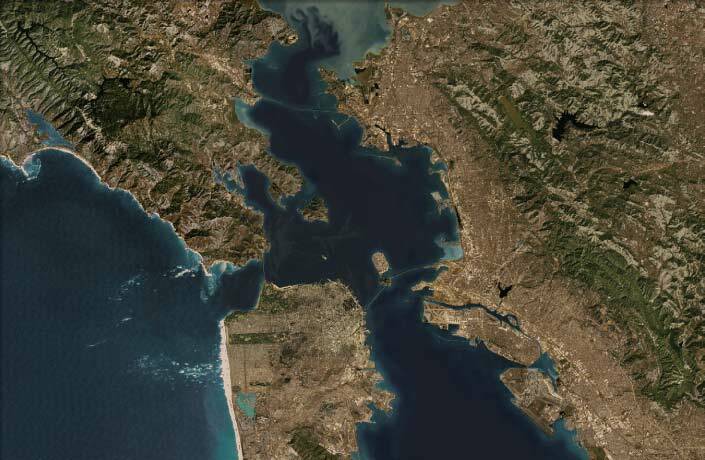 OneBayArea represents regional identity to engender collaboration on complex environmental issues that effect our quality of life in this vibrant region. 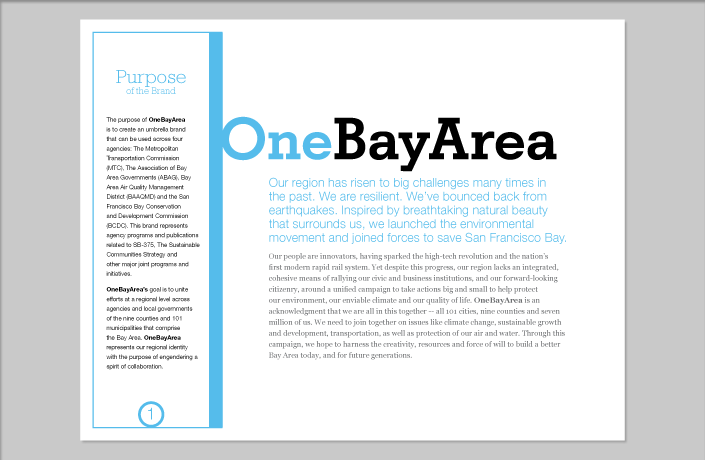 The name and logotype for OneBayArea came out of a multi-agency conversation with the goal of unifying climate-related tools and policies for Bay Area residents. The logotype was meant to be fresh, bold and friendly. 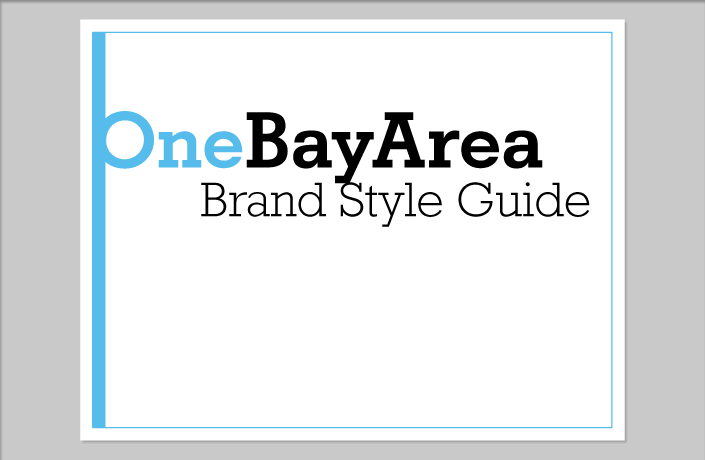 This document explains the intention of the brand and can be used as a reference for designers and vendors to create materials that maintain the graphic integrity of the OneBayArea brand. 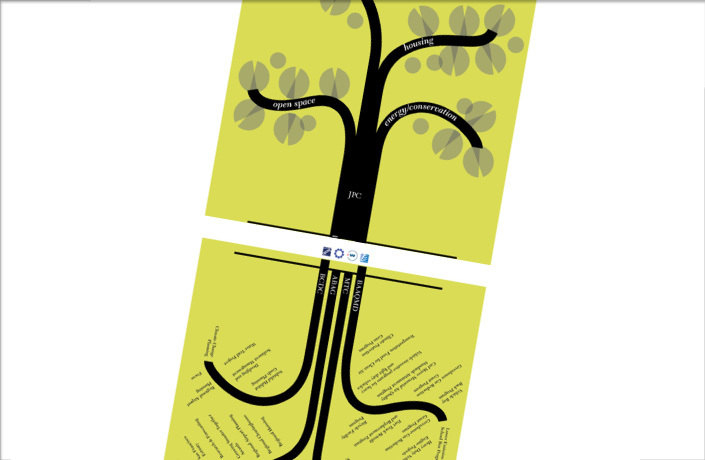 The challenge of the OneBayArea project was to help the public understand related programs and policies of many different agencies. 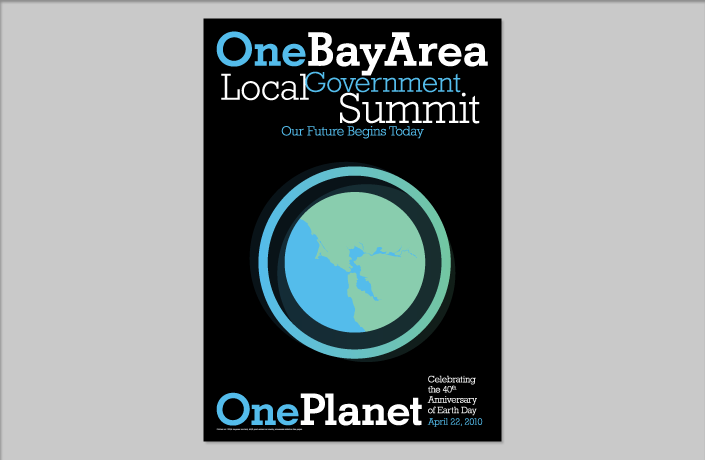 Design of poster and messaging for the launch of OneBayArea on Earth Day, 2010.